SAN FRANCISCO, September 21, 2018 – CoinBundle is thrilled to welcome Katherine Hensel to the CoinBundle advisory board. Her considerable experience across finance, investing and entrepreneurship will be invaluable to the leadership team as it grows its business to provide access to cryptocurrencies to the next billion people. An accomplished financial industry executive and institutional investor, Ms. Hensel has held leadership positions across the investment banking/brokerage and asset management industries for more than 35 years. Ms. Hensel is a subject matter expert in financial services and financial institutions. Previously, Ms. Hensel was a managing director in equity research, led the Financial Institutions Group and co-chaired the Investment Policy Committee at Lehman Brothers where she also achieved top ranking on Institutional Investor and Greenwich surveys as a commercial bank analyst. Ms. Hensel was managing director and Director of Research at Chancellor Capital Management, an $80 billion AUM institutional money manager. As an entrepreneur/owner, she and her partner rapidly scaled a significant alternative asset management business, Sage Asset Management, to peak AUM of approximately $1 billion. Employing a fundamental long/short equity strategy, she and her partner co-managed a hedge fund outperforming the S&P 500 while taking less than half the market risk during her tenure. 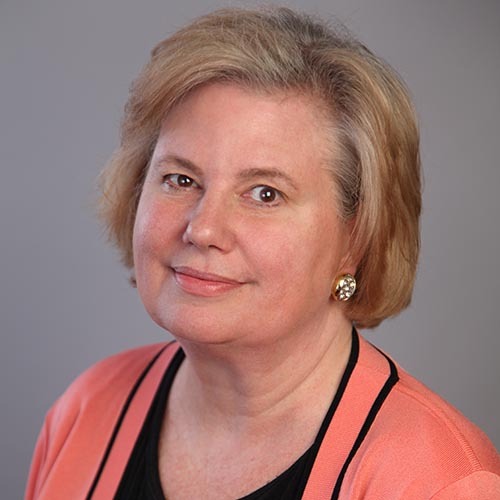 Ms. Hensel currently serves as an Executive in Residence at Columbia Business School and on the Investor Advisory Committee of the Financial Accounting Standards Board (FASB). She serves on the advisory boards of a European based technology VC for fintech investments and MIDA Women in Tech Network. She serves as a mentor/advisor to fintech startups at the MIT Enterprise Forum. She is an active member of the National Association of Corporate Directors (NACD) and the Financial Women's Association of New York. At Columbia Business School, her academic interests include corporate governance, investment management and capital markets, banking and financial institutions, fintech, leadership, and career development. I am both excited and honored to join the advisory board of CoinBundle. Serving a high social purpose, CoinBundle employs innovation, insight and blockchain technology to address the needs of the world's unbanked population and others seeking alternative ways to store value and execute financial transactions. I admire the remarkable team and how much they have accomplished in so little time. This release also serves as a correction and clarification to some of the information provided regarding Ms. Hensel in the previous press release. The company provides a wealth of educational resources for first-time investors, its Medium Blog being listed as one of the “Top сryptoсurrency blogs” in the world. CoinBundle is backed by top Silicon Valley VCs and investors such as Y Combinator, Initialized Capital, Tuesday Capital, Switch VC, Liquid2 Ventures, FundersClub, and Amino Capital.